The Human Equation News | The Human Equation News - Are Your Employees Really Independent Contractors? Under the FLSA, an entity employs an individual if the entity suffers (tolerates) or permits that individual to work. 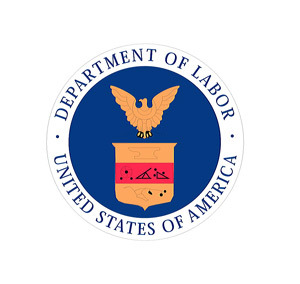 The DOL states that the ‘suffer or permit’ standard was specifically designed to be the broadest definition ever been included in any one law, and that under the FLSA, most workers are employees. According to the DOL, the FLSA’s suffer or permit standard is satisfied if an individual is economically dependent on the entity. Courts have developed a multi-factor ‘economic realities’ test to gauge whether a worker is sufficiently dependent upon an entity to be considered an employee under the FLSA. Is the work an integral part of the employer’s business? An independent contractor’s work is less likely to be integral to the employer’s business. If the work is integral, the worker is more likely to be considered economically dependent on the employer. Does the worker’s managerial skill affect the opportunity for profit or loss? True independent contractors can make a profit or experience a loss. If profits and losses are affected by a worker’s managerial skills, rather than the ability to simply work more or less hours, a worker is less likely to be considered economically dependent on the employer. How does the worker’s investment compare to the employer’s investment? Independent contractors typically make some investment in their business beyond any particular job. Workers are more likely to be considered employees if their investment is relatively minor, particularly when compared to the employer’s investment. Does the work require special skill and initiative? A worker’s business skills, judgment and initiative, not technical skills, suggest whether the worker is economically independent. Specialized technical skills do not necessarily indicate economic independence unless they are used in an independent way, such as demonstrating business-like initiative. Is the relationship permanent or indefinite? Permanency or indefiniteness suggests that the worker is an employee. The key is whether the lack of permanence or indefiniteness is due to operational characteristics intrinsic to the industry or the worker’s own business initiative. What is the nature and degree of the employer’s control? Independent contractors must control meaningful aspects of their work so it’s possible to view the worker as a person conducting his or her own business. The worker’s control must be more than theoretical; the worker must actually exercise it. Unfortunately, there isn’t a bright-line rule that applies in every situation. Nevertheless, the consequences for improperly classifying a worker can be severe. Given the DOL’s focus on finding violations, it’s important to get it right. Additional information about various employment related liabilities, including the FLSA, is available in The Human Equation’s library of Human Resources online courses library of Human Resources online courses. If you have any questions, please contact us.